I must really say that I prefer the dyed sections of my hair because I find that the light reflects better off of it making the coils appear more defined. When my hair is all one dark brown mass every strand looks pretty much like the next. I have found that the hair at the back has a looser kink so that it actually flops down while wet. Hi how r u doing? I was wondering did you color you rhair if so what type of color did you use? 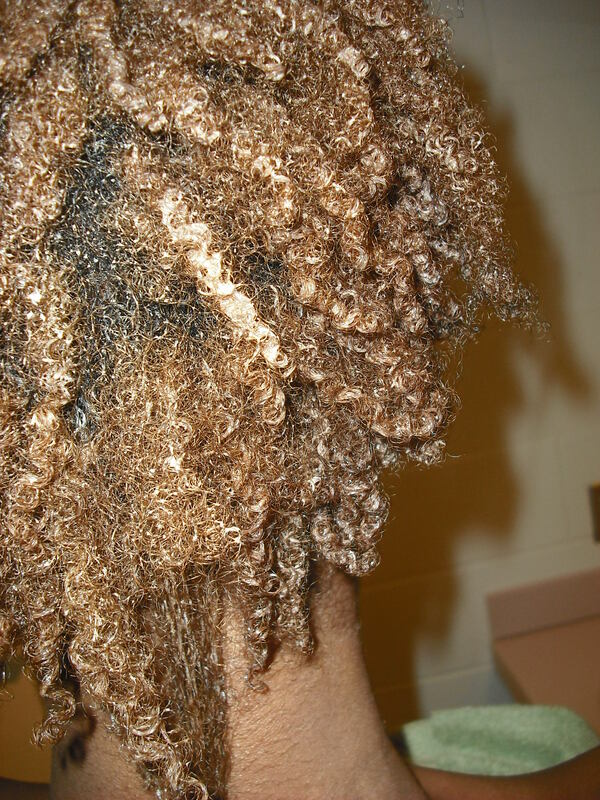 Do you find it easier to color natural hair or harder?